I was playing around leftover stamping on my desk on Monday (when I really should’ve been cleaning it up) and found some images I’ve previously coloured but never used. I decided to put them together for an Aussie style Christmas card for this weeks sketch at CAS(E) This Sketch Challenge. In Australia, our Christmas day weather can change in an instant, but generally it’s swimming weather. Last Christmas we had three air conditioners going, two fans on and half of our guests in the pool! With the pre-coloured images I found, I decided to create a fun beachy themed Christmas card. 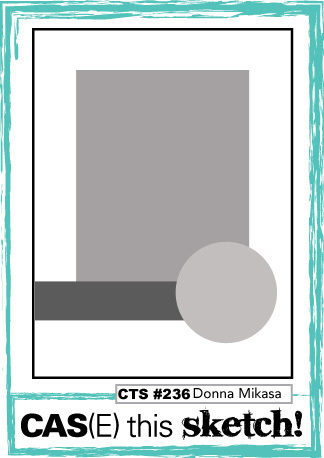 Having all of the images coloured, this card took no time at all to put together. 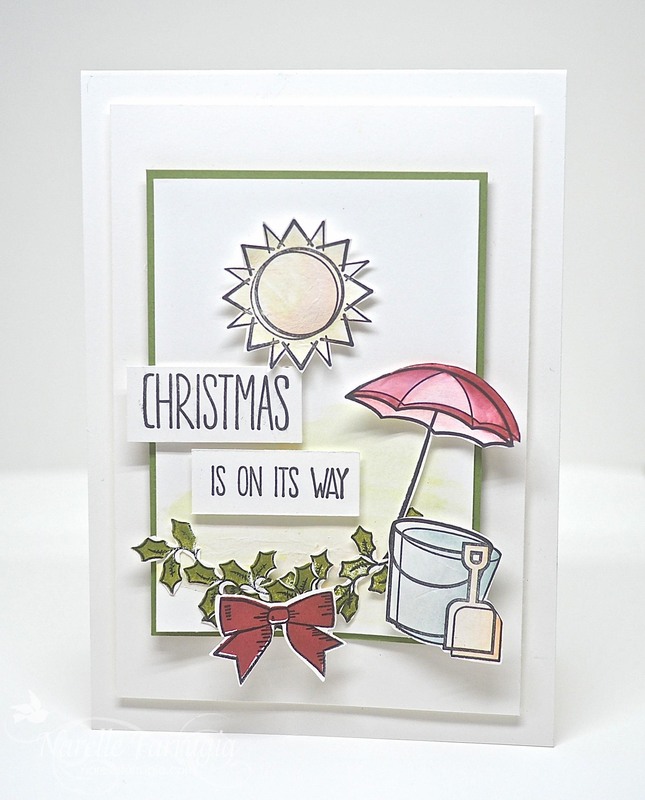 The beach-y images are from Stampin’ Up!s Day at the Beach and the Christmas wreath is from Holly Berry Happiness. The “Christmas” sentiment that I have cut down is from Better Together and the “Is On It’s Way” is from Sunshine Sayings. Sums up Christmas Day here perfectly . Love how you have put it together….. This makes me smile! Love this so much, Narelle! Such a fun card to send now! On the inside put the number of days until Christmas!!! Is this my Christmas card? What a fun and fabulous take on the sketch, Narelle! Love these images.